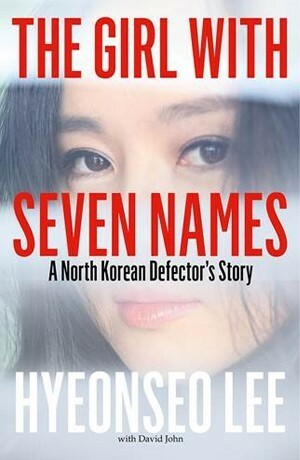 It's the true story of a North Korean defector who went to China and then eventually sought asylum in South Korea. She later helped her mother and brother come to South Korea. While I love to read about books set in different cultures woven into the normal stories of every day people, reading about terrible odysseys in horrifying detail is not something I seek out. I feel that many of these sad stories (fiction) from outside the developed western world are made so to sell the poverty or suffering to the Western audience. For example, Aravind Adiga's White Tiger. However, what made me pick up this book was an article in The Financial Times of a lunch with her. I knew that her book would be very different. The Girl with Seven names is different. It's not a sob story but a story of hope. Truly this is how I believe most stories of hardship would be. The story is not about the hardships but about what keeps one going. Most of the difficulties she faces are written in a very matter-of-fact manner without delving into detail. What is in clear detail is the pain of missing her family with the knowledge of what it means to have a North Korean defector for a family member when living inside that country. She was born and brought up in a well-to-do resourceful family in North Korea and hence spent most of her life there believing North Korea is the greatest country in the world and that South Korea is full of beggars. She truly believed it like most others who were in the good books of the Party. What this book opens our eyes to is the happiness of living in North Korea and that brainwashing and lack of access to the outside world makes you accept whatever you are told to be true without questioning. All the misfortune that befalls her is just that, she does not curse. But even the littlest of lucky instances happen to her and she would praise them with the kindest words. Sometimes you think she was lucky and the suffering of others was much larger but then again she makes a statement that catches you off guard and you realise what she had gone through had changed her so much and had just decided not to talk about it. But it's true however, that there were so many kind strangers, acquaintances, friends, distant family, that supported her at every juncture. It restores your faith in humanity. It made me cry when a complete stranger in Laos helped her with not just money but physically being present along her side during visits to a prison. The most striking sense you get from her is her courage and her bubbling warmth. Aptly, her chosen seventh name is Hyeon-seo which means sunshine and good-luck.